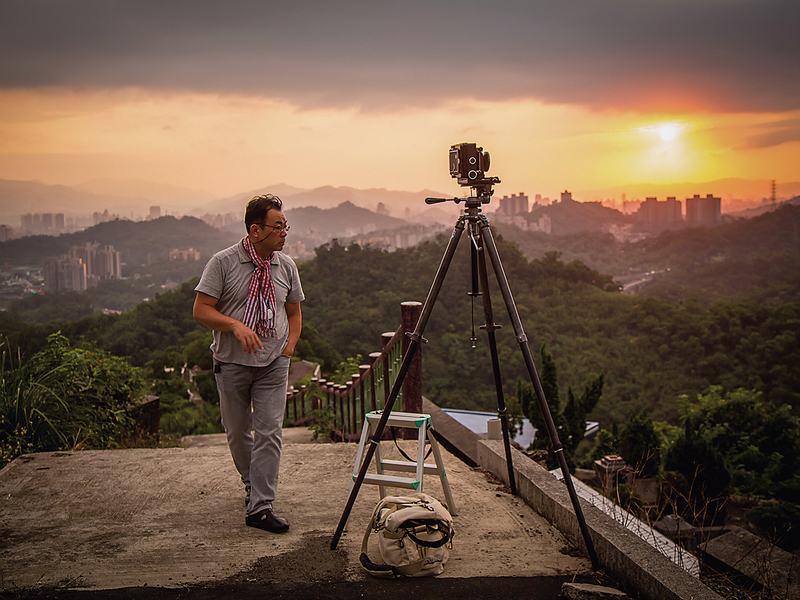 Founded in 1976, Taiwan Panorama has printed the work of many well-known photographers in our “Photo Essay” column over the years. 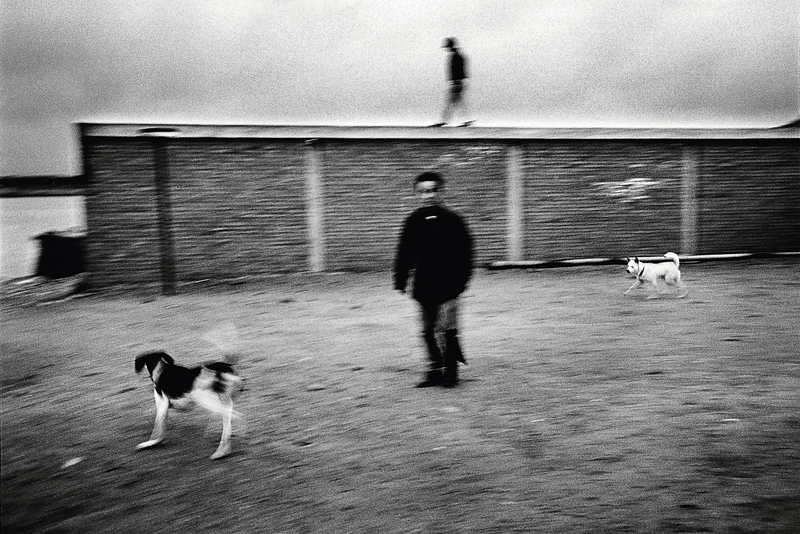 These have included ­Chang Chao-tang’s series “In Search of Photos Past” beginning in January 1986, ­Chang Yung-­chieh’s “The Call of the Pescadores” in April 1995, and Shen Chao-­liang’s “Flashback: A Photographer Returns to Chungliao” in September 2000. 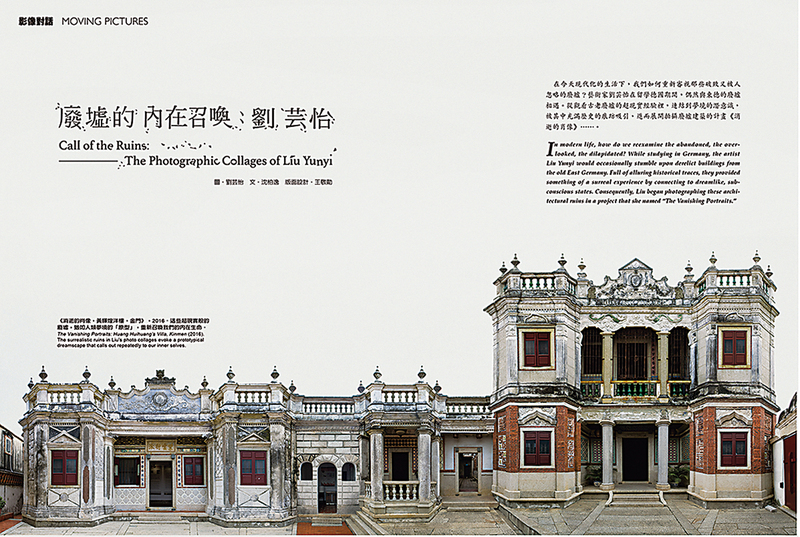 Our publication of these photos has added depth and beauty to our magazine, while also tracking the history and development of photography in Taiwan. 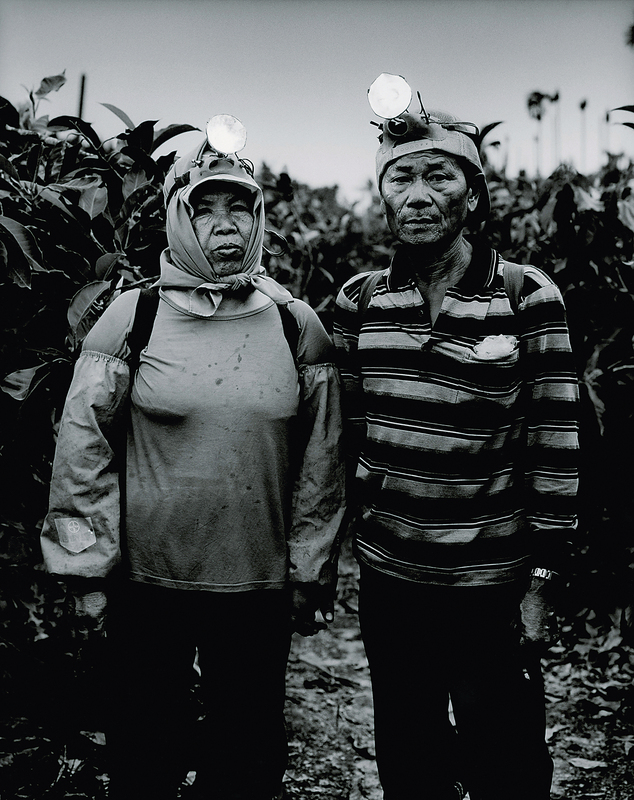 For this month’s issue, we interviewed the internationally renowned ­Chang Chao-tang and Shen Chao-­liang once again to hear their views on the past, present and future of Taiwanese photography. Photography is an art, its form consisting of a variety of media, its content, of the photographer’s ideas. The art natur­ally involves the style and aesthetics of the image itself, but it also includes the various levels of recognition and elevation involved in capturing each shot. Speaking about the collision of eras, and the changes in documentary photography wrought by the dramatic social movements surrounding the end of martial law, ­Chang remarks: “Even before the end of martial law, a few photographers were already taking pictures deeply infused with their personalities and reflecting burgeoning social trends.” The work of photographers of this period, including Liu Chen-­hsiang, Pan ­Hsiao-hsia, ­Hsieh San-tai, Yeh ­Ching-fang, Lian Hui­ling, and Hou ­Tsung-hui, was somewhat subversive. They didn’t stick to tradition, which made their images more dynamic and impactful. “People began creating more conceptual photographic works in the 1980s, and that has continued to the present day. By the 1990s or so, photography was changing dramatically in response to the contemporary artistic zeitgeist.” Shen makes specific mention of the change in photographic forms after 2000, which shifted from 2D to 3D, and from there to multiple media and multidisciplinary approaches. The issue wasn’t digital photography versus film, nor the categories, materials, and photographic language employed, but rather the questions arising in the photographers’ minds: What are we focusing on? What do we want to say or express? He explains that it was only after answering these questions that they could determine what materials and forms their work required. This is why digital, classical, and even multiple media and multidisciplinary approaches can all exist side by side. What makes a “good” photo? Chang Chao-tang says a photographic image can be considered good for its internal structure, lighting, human feeling, or uniqueness, or for its revelation of veiled information. At university, ­Chang mainly shot experimental images intended to convey perplexity and depression. But then, tired of revisiting the same themes again and again, he put his camera aside. It was only after completing his ­military service and going to work shooting documentaries for a television network that ­Chang realized that he needed to begin taking photos again. He started by focusing on realistic images, but soon hit a bottleneck. He then began incorporating a few of his previous surreal concepts, shooting images that retained an ele­ment of realism but executing them with different ideas in mind. He says, “We usually use the viewfinder to lock on to what we want, but in doing so are designing the thing we have locked on to.” He therefore decided to stop looking through the viewfinder and instead rely on his own accumulated experience, a process that sometimes enables him to “accidentally” capture something very unique, dynamic, and completely outside people’s ordinary observable world. “When I taught at Tai­nan National University of the Arts, I often used to stroll through the area around the Wu­shan­tou Dam taking photographs. 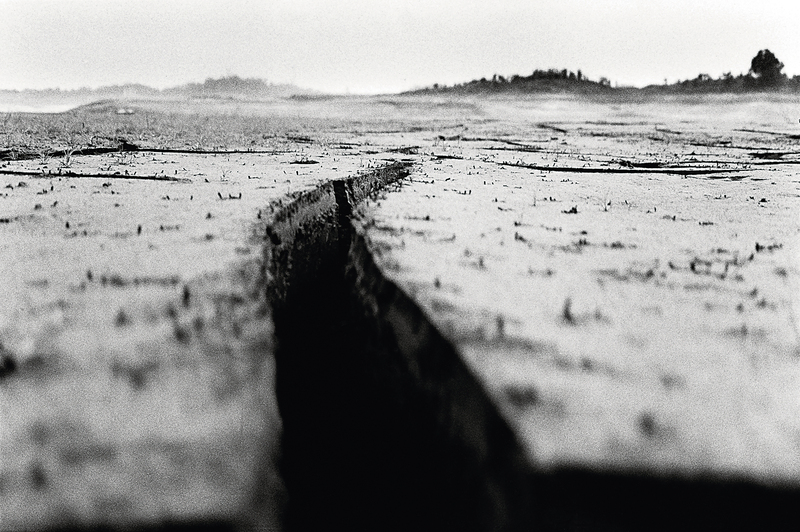 Back then, the earth around the reservoir was cracked and split into many gullies.” ­Chang abandoned the typical framing of such photographs, which would have placed the fissures in the foreground and the reservoir behind, and instead rested his camera in the cracks and set his focal point at about one meter. The nearness of the focal point and the shallow depth of field created a blurring of the background and the extreme foreground, giving the photos an abstract look and a perspective like that of a groundhog that has just poked its head from a hole. Once, while taking pictures in ­Penghu, he spotted a man standing on a high wall speaking down to another man on the flat ground below. There were two dogs there, as well. ­Chang grabbed his camera and snapped off a few quick shots just as the two men were leaving, and was surprised to find that he had captured one of the dogs, a white one, in sharp focus, while the other dog and the two men were in slightly blurred motion. He found the composition even more remarkable: the placement of the men and dogs relative to the wall was perfect, creating a great image. 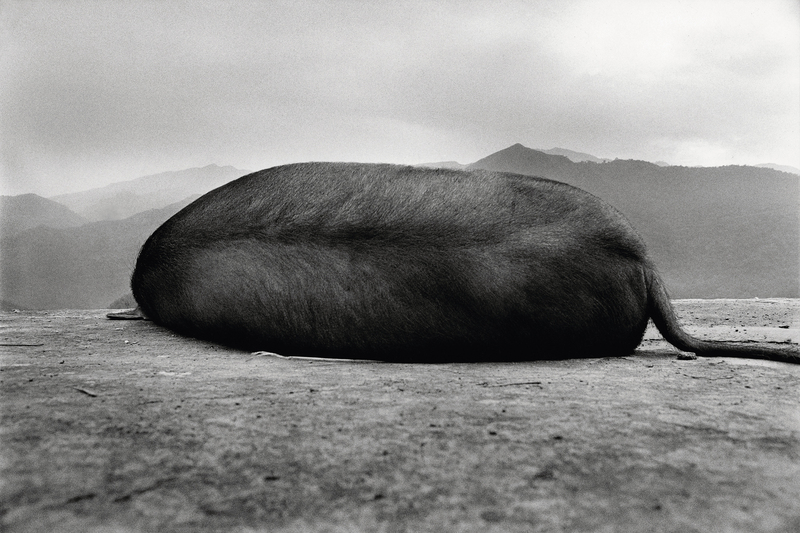 Another time, he got an interesting photo of a pig lying on the ground. Intended as a sacrifice for Pas-ta’ai, the “ritual of the short ­people” ­celebrated by the Saisiyat people, the pig’s legs were bound. ­Chang wondered what it would be like to view it from a dog’s perspective, so he placed his camera on the ground, set the focal point at about two meters, and took several photos without looking through the viewfinder. When he developed the photos, he felt that their extremely simple, naturalistic composition imbued them with a kind of power and vitality. 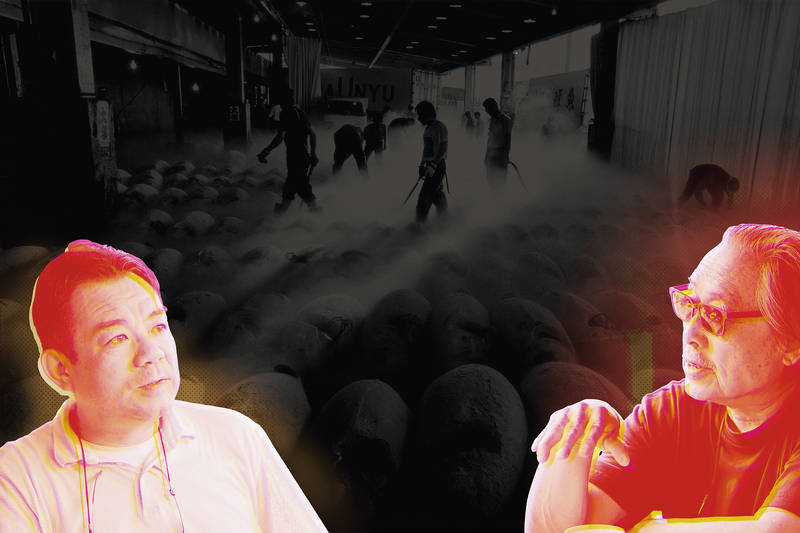 “Other people think that my work underwent a big change beginning with Stage, especially compared to my earlier Reflections of Nan-fang-ao, Yulan Magnolia Flowers, and Tsukiji Fish Market, because the more recent work obviously better reflects the present day and adheres to the present moment.” Shen says that while his newer work remains documentary at its core, it has more “language” and “structure,” and touches on more “issues.” It has also moved from black-and-white to color, and from classical realism to a very contemporary new documentary style. These broader conceptual and formal parameters highlight the connections between Stage and the Taiwanese public. Shen began working on Stage in 2005, scouring Taiwan in search of mobile entertainment stages. He continued to do so until the book’s 2011 publication, making it a long-term observation and photography project that not only reflected the modernity and social awareness of contemporary photo­graphy, but also spurred discussion in contemporary art circles. 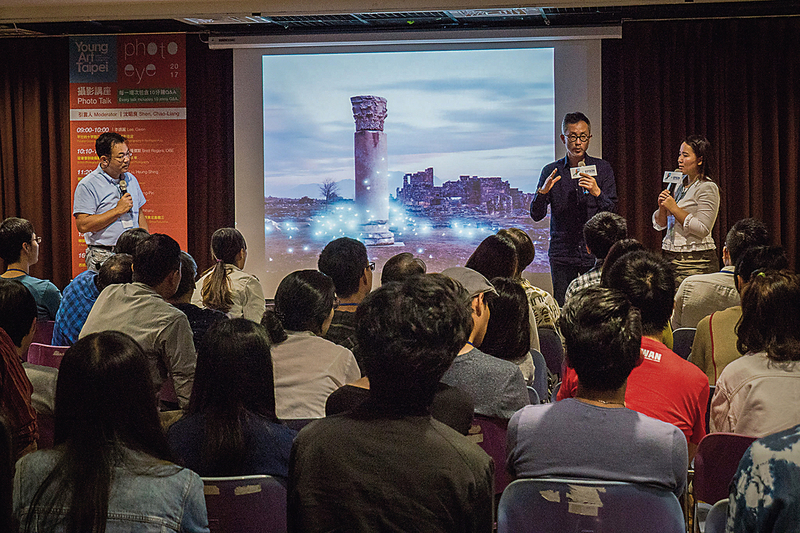 Shen finds many-faceted Taiwan a worthy focus for his ongoing creative efforts. To him, photography isn’t just a means to earn a living, but is also a medium for exhibiting self-processes and external connections. “I am pretty comfortable doing the kind of ‘individual’ work that involves being away from home frequently or even long term. It lets me see other people’s worlds through a viewfinder, and also see myself in my views of them. In July 2016, ­Chang became the first foreign member of the committee that selects work by young artists for Japan’s Ki­yo­sato Museum of Photographic Arts. Shen Chao-­liang became a translator and liaison for the museum at the same time. At the banquet after the selections were complete, museum director Ei­koh Ho­soe mentioned that he hoped the museum could arrange an exchange with a museum in Taiwan. 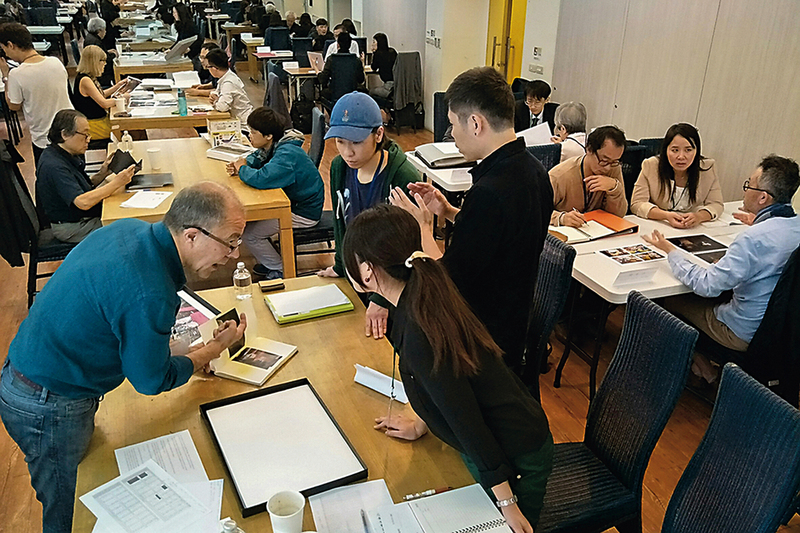 With the support of National Taiwan Museum of Fine Arts director ­Hsiao Tsung­-­huang, the two museums went on to organize an exchange program whereby each would exhibit works from the other’s collection. The exhibition at the Ki­yo­sato Museum drew together works created by 11 veteran Taiwanese photographers when they were in their primes, while the NTMoFA exhibition included photos taken by Lewis Hine, Alfred Stieg­litz, Ki­kuji Ka­wada, and ­Daidō Mo­ri­yama in their youths. 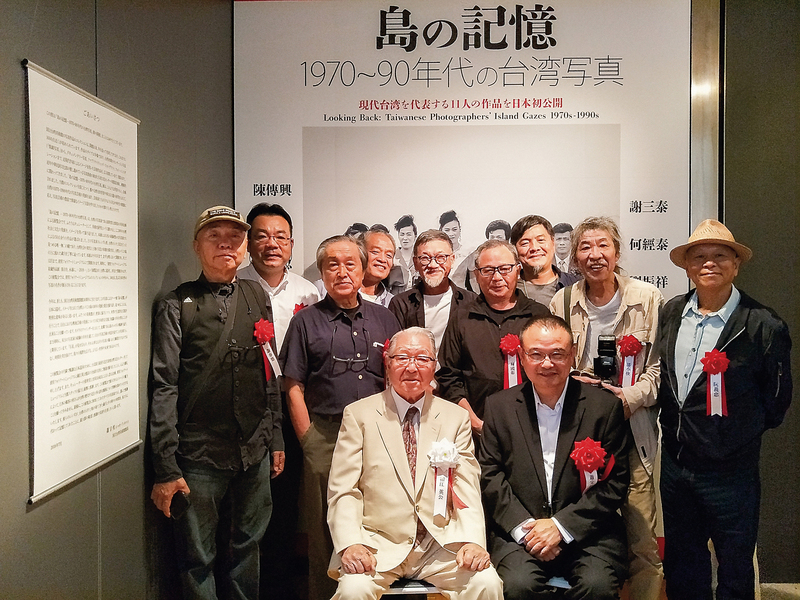 The Ki­yo­sato exhibition included works by photographers of different ethnicities depicting different aspects of Taiwan and its culture during the developmentally important period from the 1970s to the 1990s. 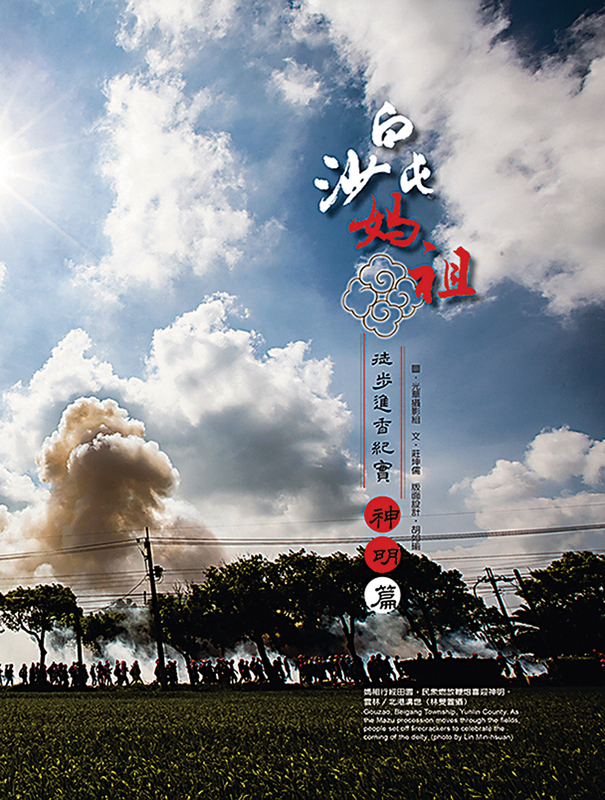 Taiwan Panorama has long been a disseminator of information about Taiwan. Shen says: “My impression of Taiwan Panorama is that both its articles and its photos are of good quality. 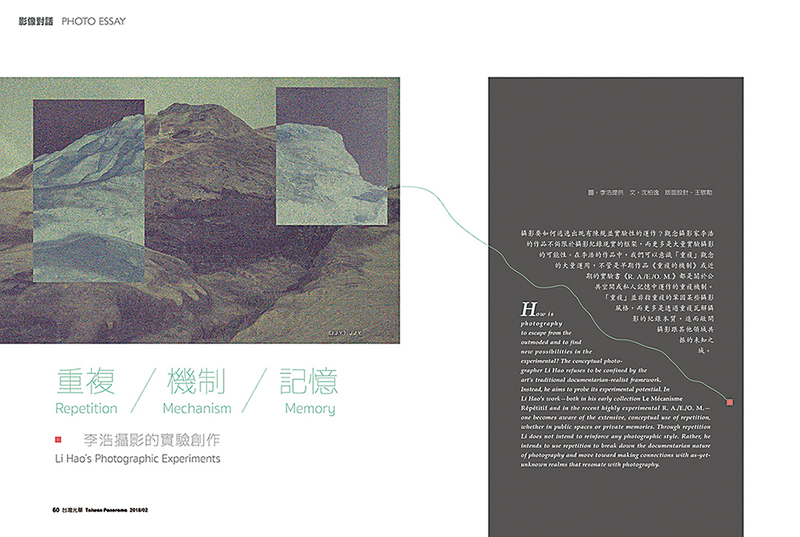 It’s a very readable publication with solid content.” ­­Chang, meanwhile, mentions that the magazine’s “Photo Essay” feature offers readers different visual perspectives. 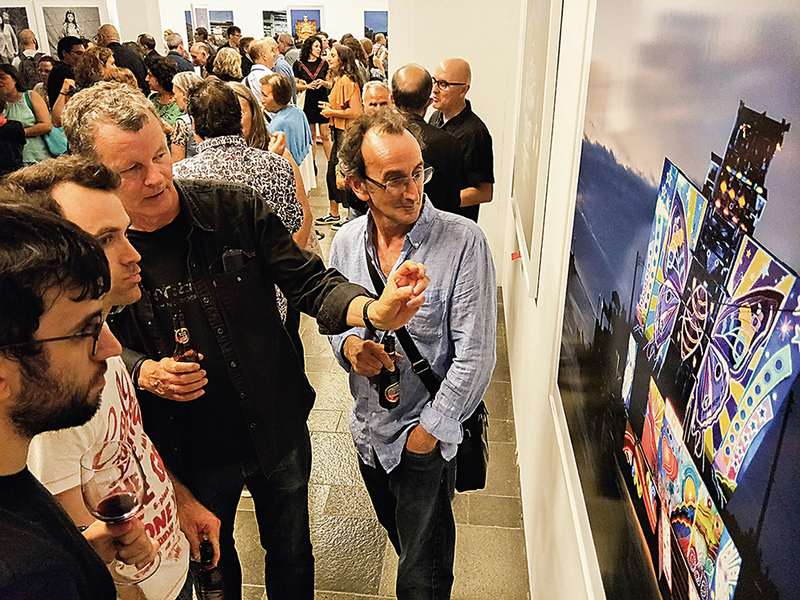 Taiwan’s photo­graphy exhibitions, festivals, and publishing have developed and flourished in recent years, and Taiwan Panorama has participated in this photographic feast. We look forward to publishing still more refined articles and photographs in the future, delving ever more deeply into topics to raise the international profile of the very best Taiwan has to offer.